Want to impress your date or plan the ideal group date? 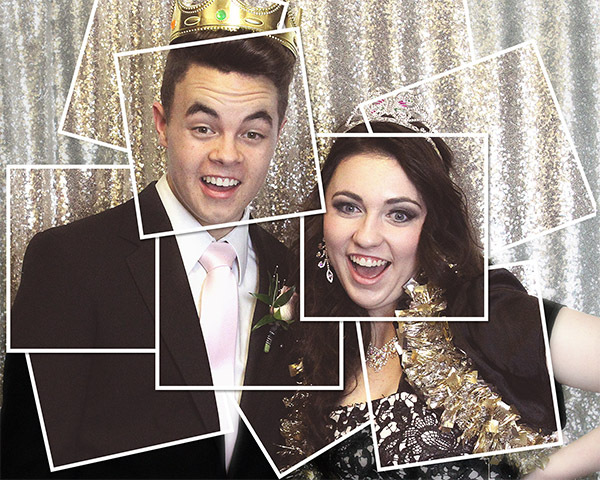 Capture the fun of your prom night at RK Creative Studio’s Photo Booth. You and your friends will have the time of your lives grabbing props and striking poses. The Photo Booth will be open the day of your prom by appointment only ( MMHS & ALA April 13, SHS & SFHS April 20, PHS May 4) from 11:00am to 4:00pm. Formal shoots will be from 5:30pm to 7:30. Each photo booth session is a total of 60 mins with a 25 min bounce back time for the formal shoot. To reserve your date, please fill out registration below. You will be required to pay the $20 studio fee (refundable with cancellation up to 7 days before your prom). The studio fee will go towards your final amount due day of. If all the appointments are filled, you can email info@rkcreativestudio.com to be put onto a waiting list. This will be handled on a first come first served basis. You may also call the day of to see if anything has opened. Sorry, no walk-ins. The $20 studio fee is required but will be used towards final total. Please fill out the information below. You can check our calendar HERE for what has been booked. Reservations are not considered booked until you receive an invoice and confirmation that your date was scheduled. Please call us at 801-850-2242 if you have any questions. RK Creative Studio offers several photography services to help capture the important moments.